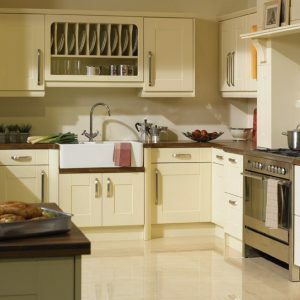 The Milbourne wood grain classic kitchen is the same design door as that of the Broadoak, though this is an over painted foil offering it a price advantage over the solid timber Broadoak. The Milbourne and Broadoak kitchens are both wide frame shakers, mainstay designs in any kitchen portfolio today. They both have frames of 110mm wide with a veneered center panel. 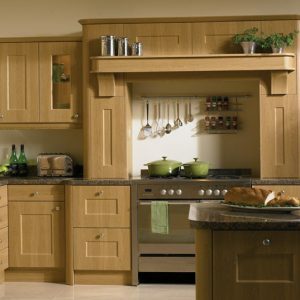 The Milbourne as a foil veneered kitchen offers a great price advantage over the solid timber Broadoak. 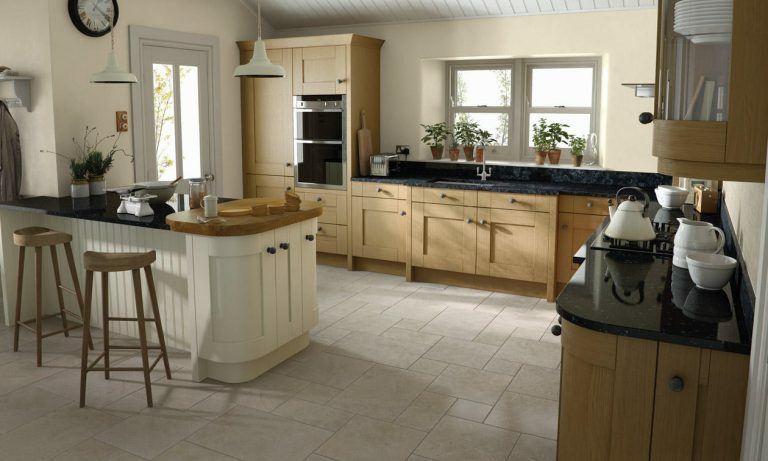 This Milbourne is foil veneered to a natural oak finish. 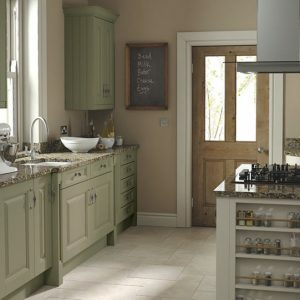 Both the Milbourne and the Broadoak offer painted finishes also. Too much choice I hear you say. 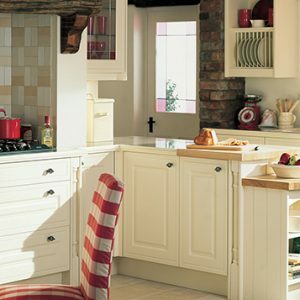 Design comment:- This Milbourne natural oak design shows a “break front” pan drawer arrangement around the hob. I would tend to put two handles on each wide drawer as these large drawers can be heavy to open. If two handles are on a drawer front is it advisable to use both and using one alone will tend to twist the drawer over time.